Charming Home in Santa Fe's Historic East Side.... just steps from Canyon Road. 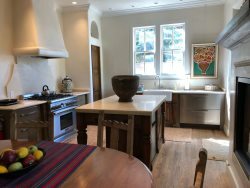 This wonderful vacation rental is located in the prestigious Betty Stewart Compound just one block from the galleries of Canyon Road and an easy 15-minute stroll to downtown's Santa Fe Plaza. Casita de Sol is a lovely single-floor home with two spacious bedrooms -- each with its own fireplace and remodeled bathroom. This home is ideal for the discerning traveler looking for accommodations for one or two couples. The adobe home is full of Betty Stewart architectural flourishes including antique beamed ceilings, Venetian plaster walls, herringbone brick floors, and inset windows. The light-filled, spacious living and dining room are professionally decorated with a comfortable sofa and armchairs. The recently renovated kitchen features a new Subzero refrigerator plus Bosch dishwasher, oven, and microwave. 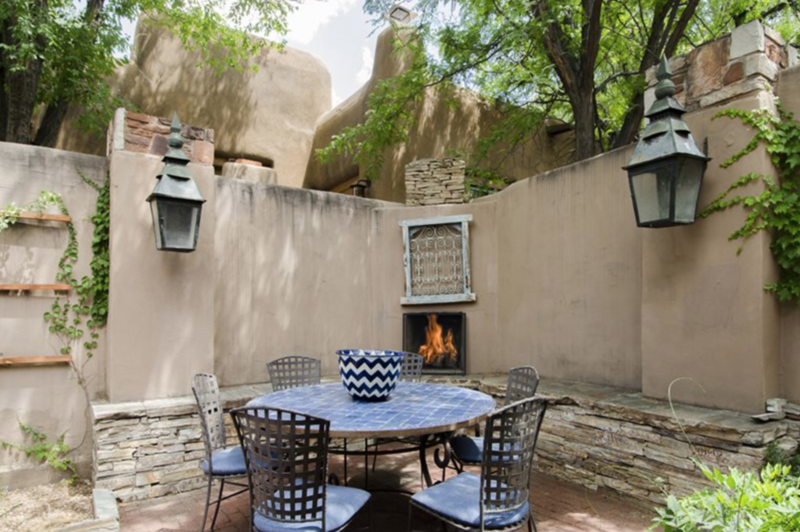 The French doors from the living room lead to a tranquil courtyard with a fountain and outdoor furniture, the perfect place for a morning coffee or a relaxing glass of wine after a day of exploring Santa Fe. This "Sunny Home" is truly the quintessential indoor/outdoor living experience. 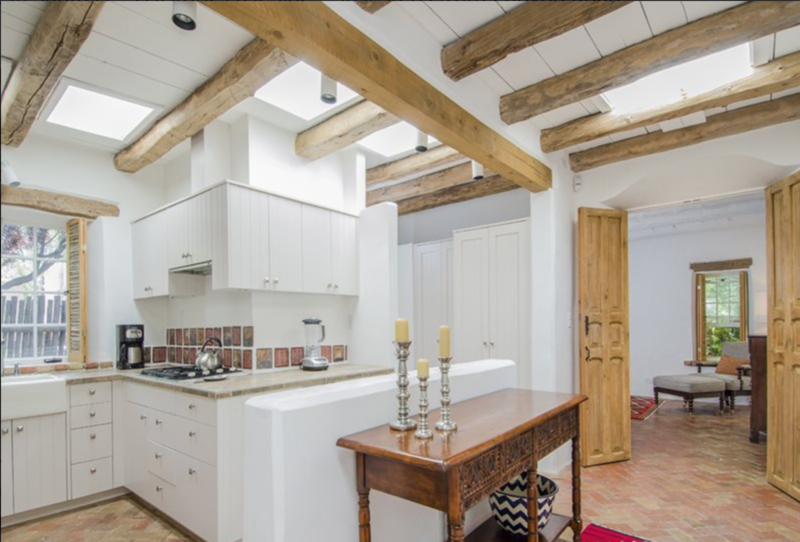 Whether you are in Santa Fe to explore the numerous Art Markets or enjoy the local Fiestas, this rental is perfect for any vacation to Santa Fe! There is assigned parking for two cars plus evaporative cooling for those rare hot days. This is a non-smoking, no pet home.